Maree Designs → Belongs to the Dollarwise Network. Generating a real income working on line... SFI.. Triple Clicks.. GDI.. Traffic Wave..
Maree Designs Retail Outlet supplies Great clothing at wholesale prices.. Her Motto no matter what shape or size. Maree Caters to all individual requirements. Gain Access to SFI and Triple Clicks. Great affiliate program that pays Via PayPal. + provides Payoneer Master cards. Maree earns a second income with participating daily with SFI. Supporting her local community shopping and selling Via Their ECA Stores. Getting paid for shopping and selling. Every Wednesday she goes to her local mall. She uses the local ATM to withdraw her SFI commissions. 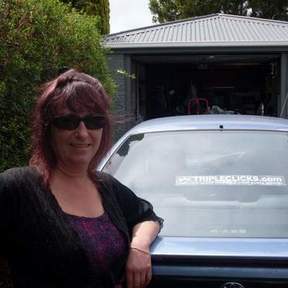 Her American dollars transfers into nearly double kiwi cash. Reading through your website and your testaments, I identified myself the same as what you were all saying. So I locked in as a Maree Designs Sales Rep. After my first week there talking and e-mailing to Maree I am now 100% behind everything Maree promotes and does. I got my first pay ever from following Maree and duplicating everything she does. Thank you for all the opportunities you have opened up for me and every other Joe Blog. Now in 2017 I have launched my EcWid Store. Offering commissions for all kiwi's that lock in to be a Maree Designs Sales Rep. Selling Via my Trade Me or Triple Clicks Store. I set about supporting other cottage industries with buying and selling online. Having them all listed at the one location My Maree Designs Store. Surf N Shopping. Maree Designs Sources Stock from her Local Markets And Online Discounted Stores. Offering unique items at reduced prices. All Maree Designs Garments are individually made with that unique finish. 65 Bailey Street Templeton Christchurch New Zealand.